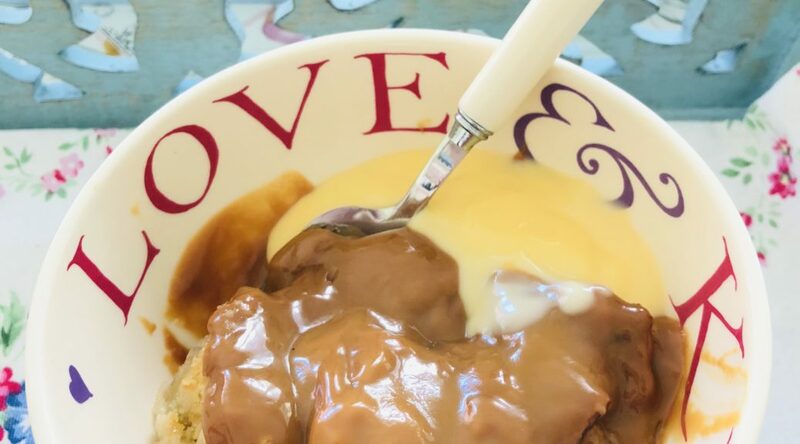 This is one of my favourite desserts especially at this time of year and it’s really just a basic crumble recipe with toffee added. 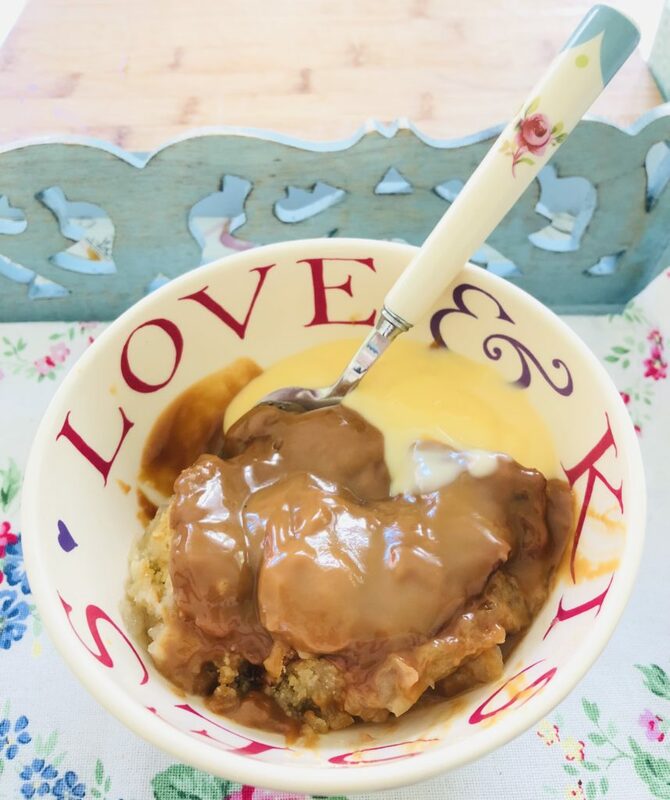 When I originally made this dessert I always made it in a flan dish with a shortcrust pastry base baked blind before adding cooked apples and then a layer of crumble before adding homemade toffee but I’ve simplified it over the years and it tastes just as good like this! 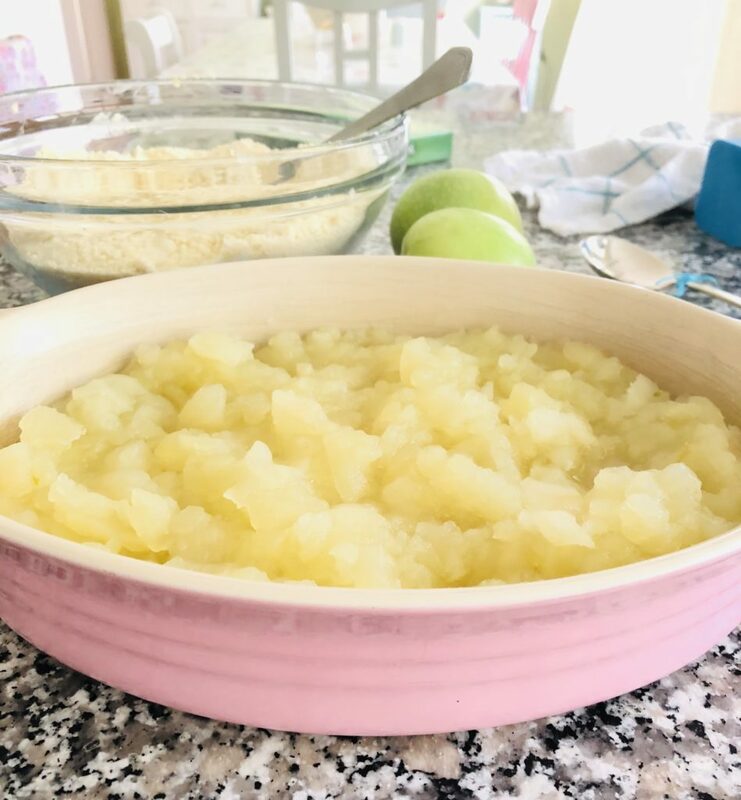 I always use Granny Smith apples for it and the quantities on this recipe are for a large crumble which will serve around 12 people so if you want a smaller one just use half of the amounts. 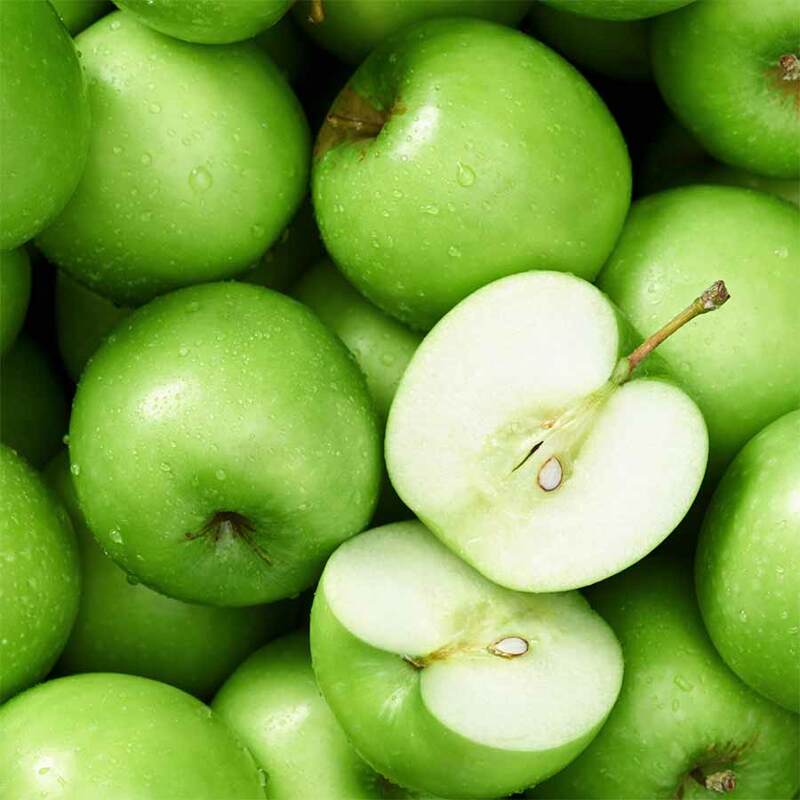 Wash apples and cut into quarters before peeling and removing cores and then slice into a pan with a few tablespoons of cold water and the granulated sugar. Put lid on pan and leave to simmer for a few minutes. Put flour and cubed butter into baking bowl and rub together with fingertips until it resembles fine breadcrumbs. Add the caster sugar and stir well through the mixture. 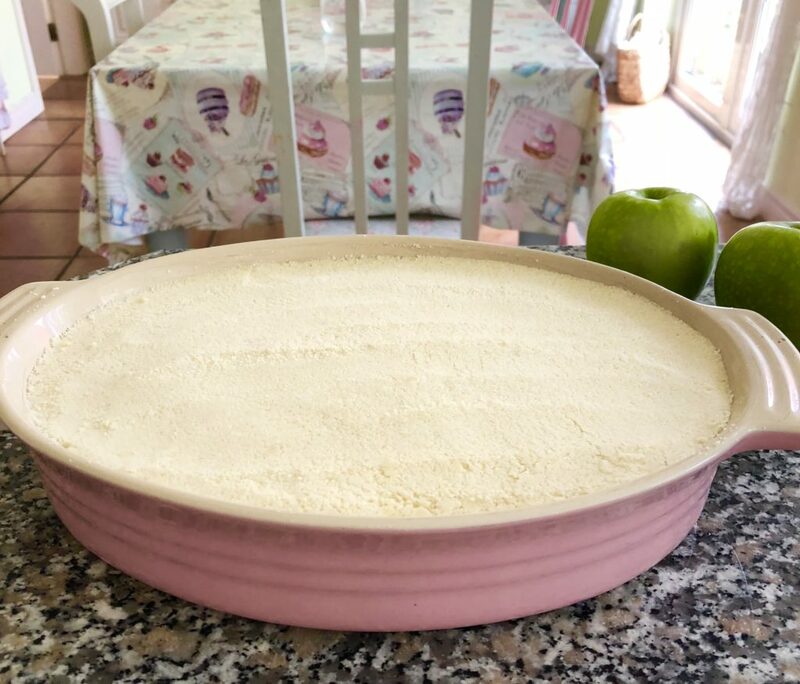 Now put cooked apples into large dish before spooning crumble mixture on top and smooth down with the back of a large metal spoon. Bake in oven at 190 degrees for 30-40 minutes until golden brown and then remove from oven and spoon the dulce de leche /caramel over the top before putting back in oven for 5 mins. 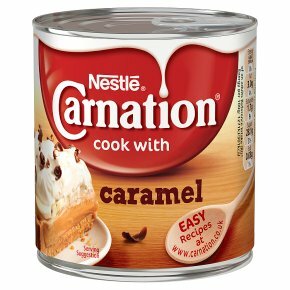 Remove from oven and serve with custard or ice cream and enjoy! !